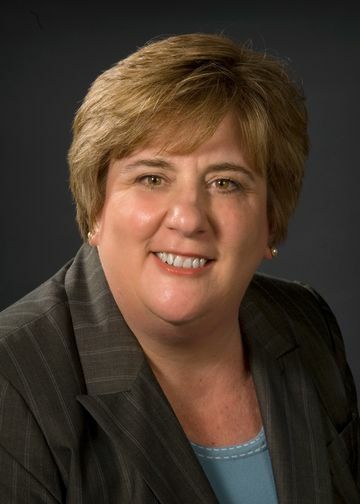 A nursing executive with more than 30 years of experience at Northwell Health, Terry Pando, RN, currently serves as chief nursing officer and associate executive director for patient care services at Staten Island University Hospital (SIUH). Throughout her tenure, Ms. Pando has held positions such as senior administrative director for patient care services, interim associate executive director for perioperative services, acting chief nursing officer, assistant director of nursing and nursing care coordinator. Prior to SIUH, Ms. Pando was senior administrative director at North Shore University Hospital, where she oversaw the Trauma Center, Emergency Department, Perinatal Services, Interventional Cardiology and Integrated Staffing. She was also the deputy chief nursing officer at Long Island Jewish (LIJ)Medical Center which achieved Magnet designation in May 2015. Ms. Pando is a member of several committees and professional organizations, including Sigma Theta Tau International Honor Society of Nursing, American Organization of Nurse Executives, Greater New York, Nassau, Suffolk Organization of Nurse Executives and Leaders, American Nurses Association and American Association of Critical-Care Nurses. Continually recognized for her strong leadership skills, Ms. Pando received the Northwell Health Nursing Leadership Award while at LIJ and the health system’s Award of Excellence. Her efforts in the Patient-Centered Model of Care Redesign and Throughput Initiative earned the Northwell President’s Award for Teamwork. Holding a Bachelor of Science in Nursing from Molloy College and a master's in nursing administration from New York University, Ms. Pando is pursuing a doctorate in nursing practice at Case Western Reserve University. She has achieved the Nursing Executive Advanced certification and the Healthcare Financial Management Association certification in healthcare finance for nurse executives.